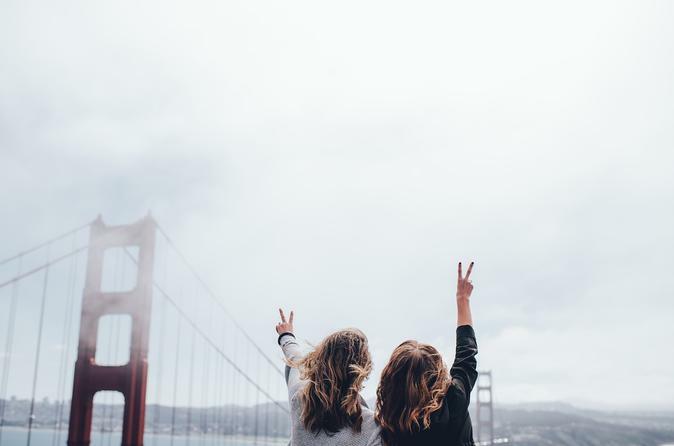 No more selfies or pestering strangers for photos of yourself and loved ones, enjoy the services of a professional vacation photographer in San Francisco to capture your travels in a contemporary and candid style. You will be paired with a professional vacation photographer local to San Francisco that will capture your travels in a contemporary and candid style of photography. Your photographer will ensure you return home with beautiful photos that will last a lifetime and can be shared with friends & family. A custom route will be organized through San Francisco based on your unique needs, whether it be a romantic getaway, a family trip or a livelier one with friends. Invest in memories that can be shared for years to come. Your photographer will be a local expert and will share their knowledge of the city like an old friend. The photos will be made available within five working days of the photo tour, available to download via an online gallery with no hidden charges.